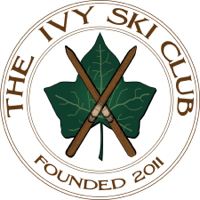 The Ivy Ski Club is a national alpine society founded in 2011 by a group of passionate skiers. Currently, its members hail from 15 states, the District of Columbia, and the U.S. Armed Forces, but its home base is Warrensburg, NY. NYSkiBlog’s Jamesdeluxe sat down with Ivy Ski Club Chairman and Co-Founder David Cronheim to find out what led the club to pick upstate New York’s Warren County as its home. NYSkiBlog: Can you start by telling us a little bit about what makes the Ivy Ski Club different from other ski clubs across the country? 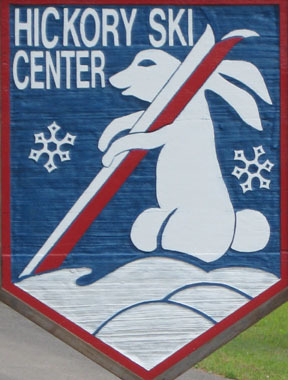 In a typical ski club, members live within driving distance of each other. We wanted to create a national club modeled on the alpine clubs of Europe. We’ve been fortunate to have a degree of early success. As the club grows, we’ll continue to add members from across the country. The goal of the Ivy Ski Club is to recapture some of the feeling of the early “Golden Age” days of skiing in a way that is attractive to our core membership group of mainly young professionals. NYSkiBlog: Is it a club only for Ivy League alumni? No, not at all. Since we wanted to start a club that had members from across the country, there was no obvious name. We struggled over a name for weeks before finally deciding the only thing we had in common was that a lot of us had gone to school together. We also felt the name and logo were evocative of the early years of the sport: wooden skis, old-time lodges, and roaring fires. NYSkiBlog: Tell us a little bit about how you got involved in skiing and ski writing. I learned to ski when I was 10 at Elk Mountain, PA the day after a 13-inch snowstorm. There was so much snow there were still three inches of powder on the bunny slope. I was hooked, though the next time I came back to Elk after a freeze-thaw, it felt like a totally different sport. I’ve written for various publications since the age of 14, when I contributed my first articles to Snowjournal.com. In college, I was co-President of the Cornell Ski and Snowboard Club and an avid NY skier at Greek Peak. Since becoming a lawyer, I’ve been active writing resort reviews and articles about ski law. You may have seen my ski law blog, Ski, Esq. Last year, I was elected VP of the North American Snowsports Journalists Association (NASJA). NYSkiBlog: You mentioned that the club is modeled after European ski clubs more than American ones. How so? Although I’ve been skiing since I was 10 and had visited Europe in the summer, it was only a few years ago that I had an opportunity to ski there for the first time. I was blown away. The ruggedness of the mountains and the intimacy of the villages really lend a storybook quality to the entire experience. While I was in Austria, I spent time at Arlberg Ski Club. It has a beautiful stone and wood clubhouse well up the mountain. In the winter, members and guests skied to the lodge. In the summer, they hiked. Trading stories around the fire with a glass of their homemade schnapps, I realized this was the ski experience that many resorts try in vain to capture. You can find “mock Tyrolean” villages in any number of ski towns, but no matter how quaint the architecture may be, it’s the experience that the resort is trying to recreate, not the buildings. We’ve had our sense of what the Alps are like skewed through the prism of megaresort developers. My visit to the Alps reminded me that skiing is as much about people as places. 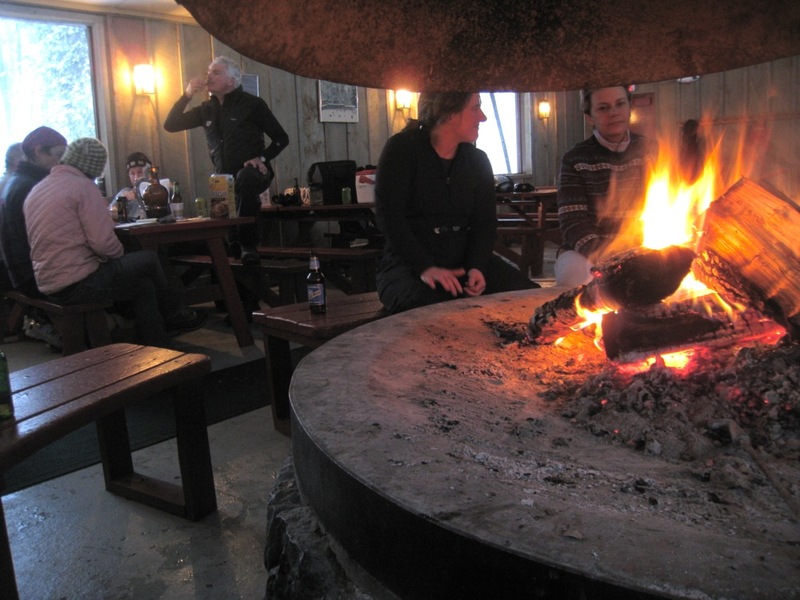 That’s what the Ivy Ski Club is about — trying to recreate an atmosphere that brings friends together to enjoy a drink around a warm fire. NYSkiBlog: Why did you choose New York for the club’s home base? 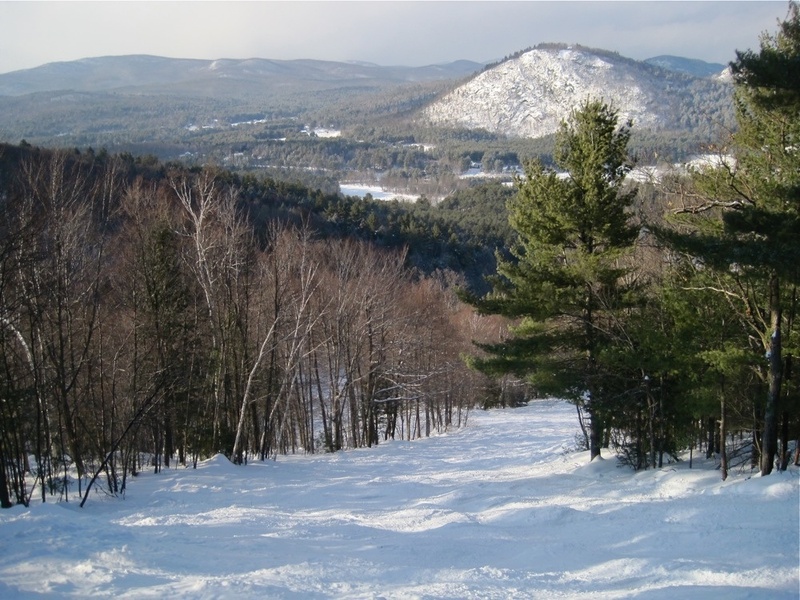 From an historic standpoint, North Creek and the Adirondacks were birthplaces of skiing here in the United States. Some of the first snow trains ran from downstate up to Gore. 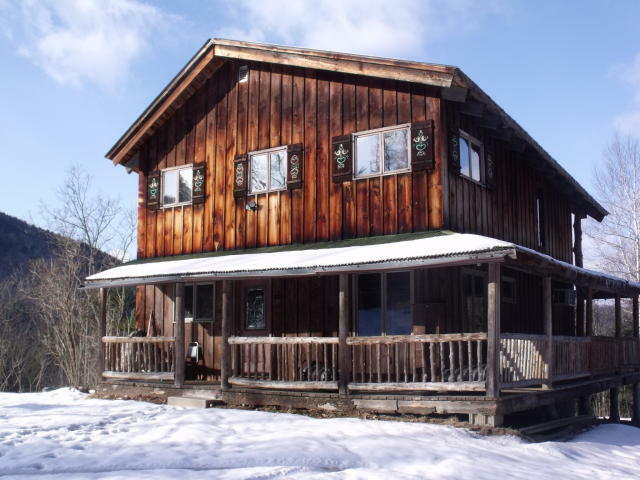 Few places can lay claim to a skiing heritage and history like Warren County. The club is a big supporter of skiing in New York, the most underrated ski state in the country; and I think Gore is the most underrated ski resort in the Northeast. The investments to the trail system and lift infrastructure that the state has made since the Pataki administration have been nothing short of transformational. Sure it has its strengths and weaknesses like any resort, but Gore is big-mountain skiing and so much closer than Vermont. 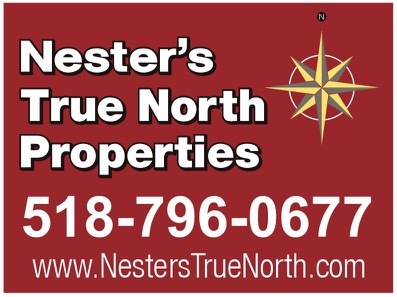 NYSkiBlog: What led you to pick specifically choose Warrensburg for the club? Much of our membership is based in the Northeast, so we wanted to pick a place that’s easy to get to, but still offers big-mountain skiing. We weren’t willing to sacrifice the quality of skiing for ease of access, but were realistic enough to know that few people would drive five hours every weekend. Warrensburg is only an hour north of Albany, 20 minutes from Gore, and home to Hickory Ski Center. With no disrespect intended to the very good skiing in the Catskills, we thought that Warren County was the best choice. Warrensburg is right off I-87 so members can work a full day on Friday in New York or Boston and be at the lodge at a reasonable hour. There’s really nowhere else that has so much so close. NYSkiBlog: Where exactly is the club’s lodge? We found a home to rent for this winter which overlooks Hickory and is literally a one-minute drive from the base area. We think our members will enjoy having Gore only 20 minutes away, but will also appreciate being so close to Hickory. NYSkiBlog: Why did the club decided to choose Hickory as its home mountain for this season? We have a good relationship with Hickory and its majority shareholder, Bill Van Pelt. Bill is very passionate about the mountain and has worked tirelessly, at great personal expense, to reopen Hickory. The terrain is tremendous and if there ever were a mountain that fit the “authentic” feeling that the club is trying to recapture, it’s Hickory. It’s a no-frills mountain that’s family-friendly while still offering some of the steepest terrain in the Northeast. Hickory is very much like a smaller version of Vermont’s Mad River Glen, with a better view since it adjoins the Hudson and Schroon Rivers. It’s one of the most picturesque spots in the Adirondacks. Bill is very enthusiastic about the club having its lodge near Hickory. He’s a big supporter and we’re working with him with hopes of doing big things with Hickory in the coming years. Hickory has a great future ahead of it and we’re excited to be a part of it. I was asked to serve on Hickory’s Board and have enjoyed the experience. You’d be hard-pressed to find a more dedicated group of volunteers. They literally pour their hearts and souls – not to mention blood, sweat and tears clearing underbrush – into the hill. It’s been a pleasure to contribute in some small way to the rebirth of the mountain. NYSkiBlog: A final question about Hickory — are you a fan of the old bunny logo or the new one? No question, I’m a fan of the old bunny.The new bunny with the sun glasses doesn’t match the product Hickory’s trying to sell. If you’ve got something that’s proudly old school; play it up! NYSkiBlog: What do you see as the future of the club in Warren County? We’re exploring options to build or purchase a larger lodge in the area. As membership expands, so will the space we’ll need to meet the needs our members and guests. I can’t comment on what we’re considering, but the options are exciting. We want to be part of this extraordinary community. We think that the club will have a long and mutually beneficial relationship with Warren County, its great ski areas, residents and business owners. We’re excited to see what the future holds. Man, I hope it snows enough for Hickory to open. Love Hickory and psyched that more people wanna keep it going. I’ll bite…..what big things are they hoping to do? I love Hickory the way it is, secret and all natural. But it won’t survive without snowmaking. Back in the day we took it for granted. Congratulations for you and the club on finding a place close to Hickory. Wishing you Loads of Snow for the ski season.